My new-to-me loom, probably the most harnesses I could get in the smallest loom that actually still feels like a tiny loom–and it’s cute, too! I’m really looking forward to learning to read drafts and weaving patterns. 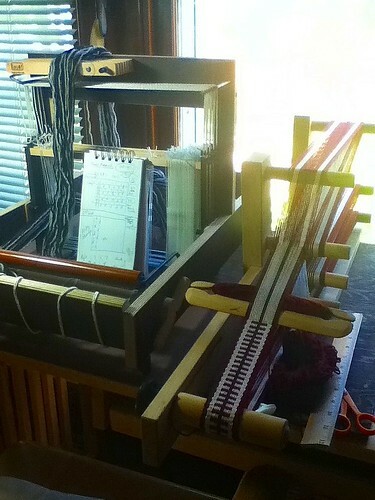 I’m actually too excited to say much more about it right now except that I now own an 8 harness loom! And it’s cute, too! Where did you find your Louet W30? I would really like a used 2nd hand one. If you know of where I can find one. It because I would like more shafts. In particular I did not care for how the reed would fall over when sleighing. I plan on purchasing an Emilia Glimakra as I would like a warp that holds tension well and is sturdy.